Last week, the Princess and I celebrated her birthday by visiting Petersham Nuseries for lunch. Neither of us had ever been so we weren’t sure what to expect. We chose to walk from Richmond station, along the river, and past some cows in a field to reach the nursery. We had lunch at the tearoom, not the Michelin-starred cafe. It was very relaxed and informal and the food was excellent. 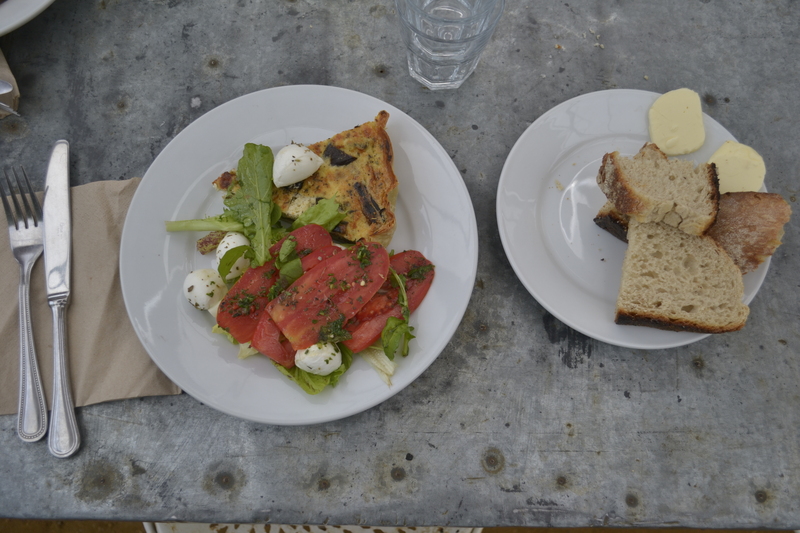 I had quiche (aubergine and ricotta) and a mozzarella and tomato salad. The Princess had a pasta salad and a potato one. We ate in the one greenhouse, by ourselves which made it feel like our own private sanctuary. 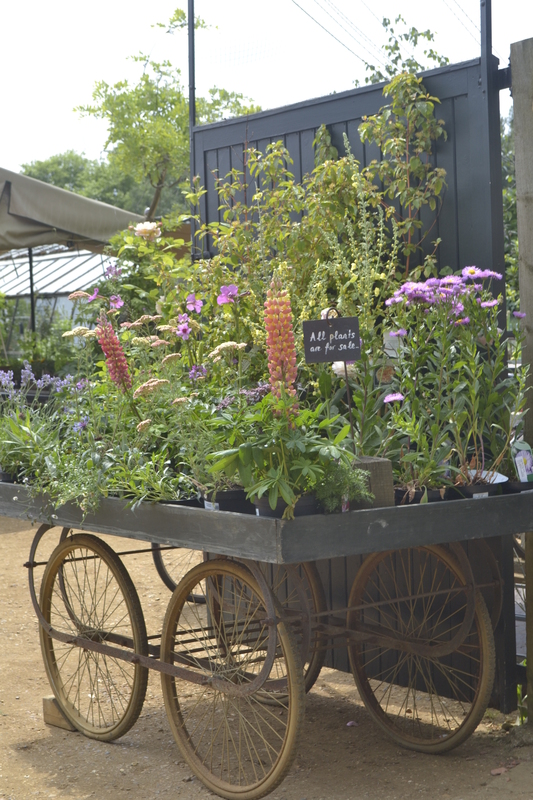 The nursery itself is incredibly well designed – all displays are pleasing to the eye and cleverly put together, so you feel more like you’re in somebody’s garden. We wandered around after eating and bought an assortment of seeds to take home to try and grow in the allotment. They have wonderful names like Flowers of Spring cabbages or Carter’s Golden Sunrise tomatoes.